It's all go in the On Landscape offices at the moment as we prepare to head off to Iceland to shoot some video and test some equipment. We'll be having a look at how the CamRanger performs in the real world using a Canon 1DX and a Nikon D800 and also offering a comparison of the image quality of Nikon and Canon's respective 'best of breed' cameras. In order to bring our future in the field videos and reviews up to date we now have a office D800 which, alongside Joe Cornish's D800, means we can test a range of lenses and document best practise in the field using Nikon's tilt-shift, zoom and prime lenses and also some third party lenses. 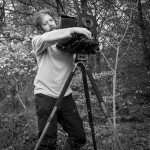 We won't be getting overly geeky but we will be looking at how these cameras and lenses perform for landscape which is often ignored in other publications/technical reviews and our opinions will also be given comparing prints rather than trying to give some sort of percentage scores from on screen 100% previews. We're hoping to add a Canon 5D Mark III to the mix in the future to do the same and also we'll be looking at various popular compact cameras. 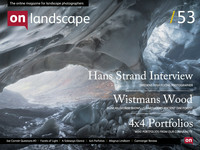 But for now it's Issue Fifty Three and we've got a bumper feature interview with Swedish photographer Hans Strand and a continuation of Joe Cornish's reader's questions interview and a preview of the CamRanger that we're putting through it's paces in Iceland in the near future. 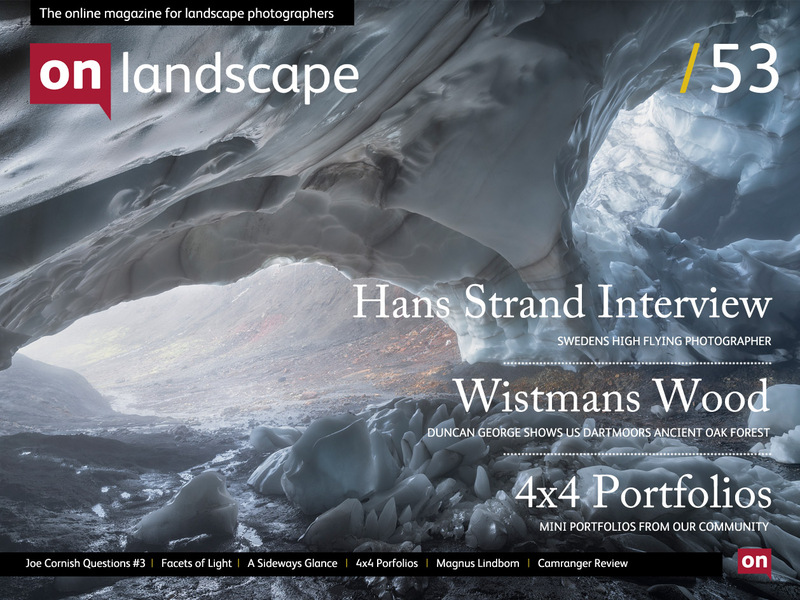 On top of this we have an excellent alternative take on landscape "Facets of Light" from Antony Marshall, some spectacular images from Wistman's Wood from Duncan George, an intriguing article on photography and psycogeography and another great Swedish landscape photographer Magnus Lindbom in our featured photographer section. And don't forget our first 4x4 Portfolio's, with a beautiful wintery theme. We should also thank everyone for their Winter photos on Facebook - a stunning set which we'll be pulling a few favourites from in the next issue!